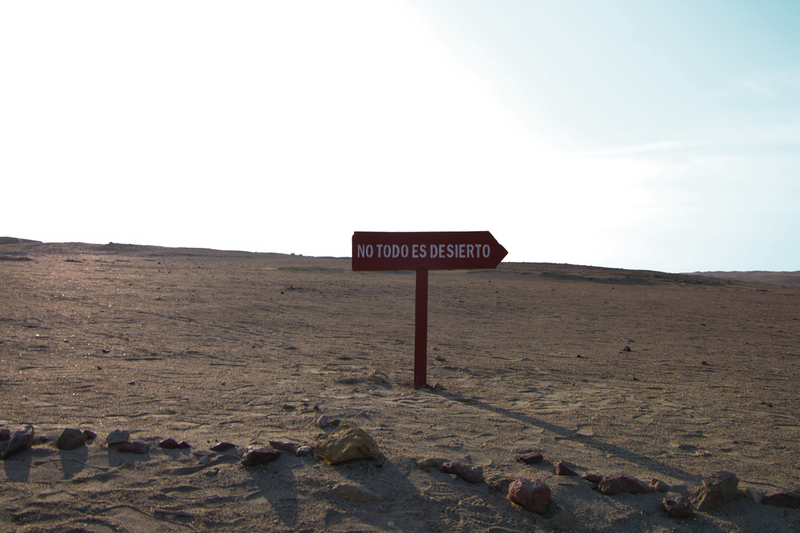 It's no surprise that Paracas, a Nature Preserve on the coast, primarily served seafood. 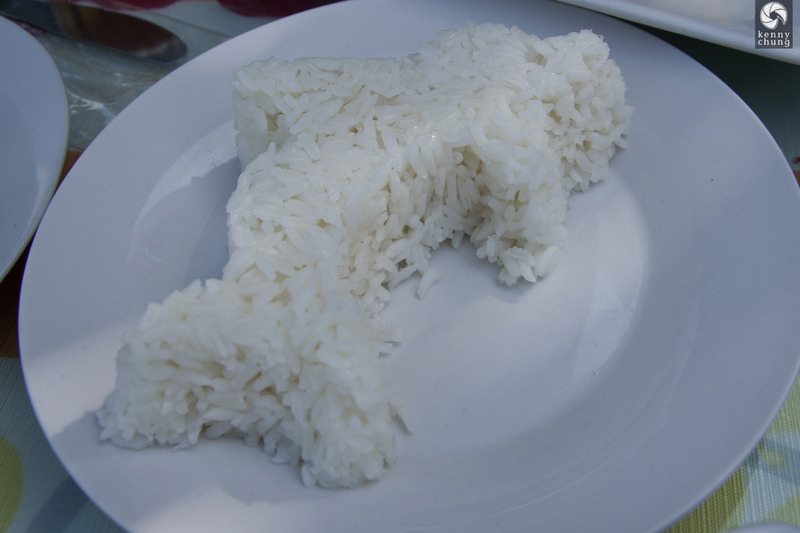 In fact, it was some of the freshest seafood I'd ever eaten. La Tia Fela was the restaurant we ate at, which I can't recommend enough. 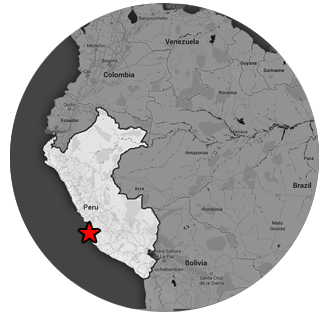 We sat on the back patio, overlooking the beach surrounded by beautiful sun and fresh Paracas Bay air. 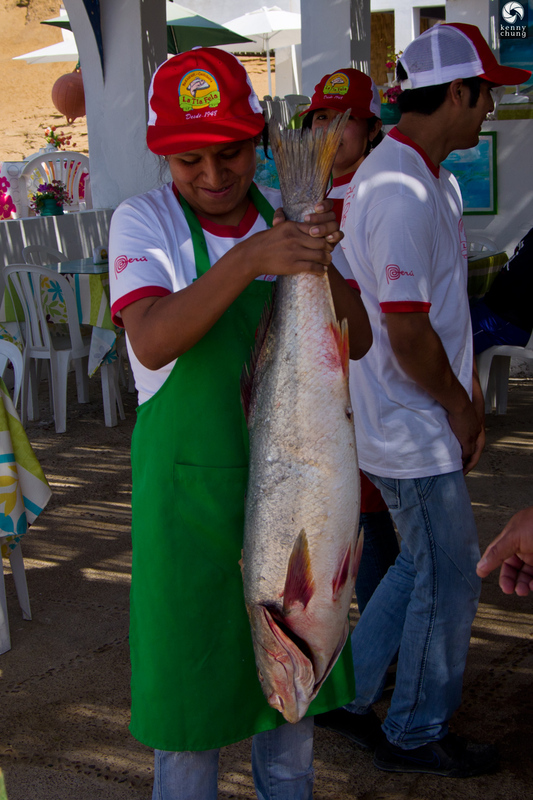 Upon pulling into a row of several restaurants, we were greeted by this employee at La Tia Fela, who insisted on showing us this freshly caught fish for our business. Of course, we said yes. 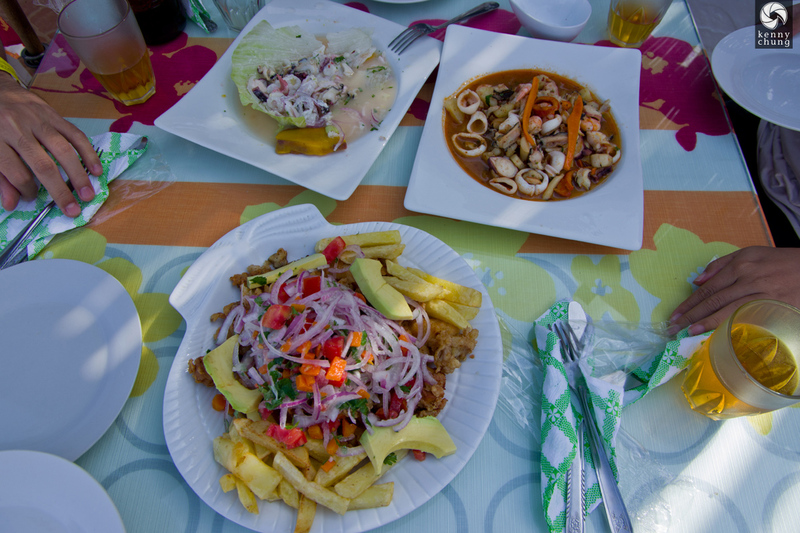 Ceviche mixto, which was delicious. If you don't know what ceviche is, it's raw seafood that's marinated with citrus until it's ready to eat. For obvious reasons, it's best to use fresh seafood, and it doesn't get much fresher than a restaurant literally on the beach. 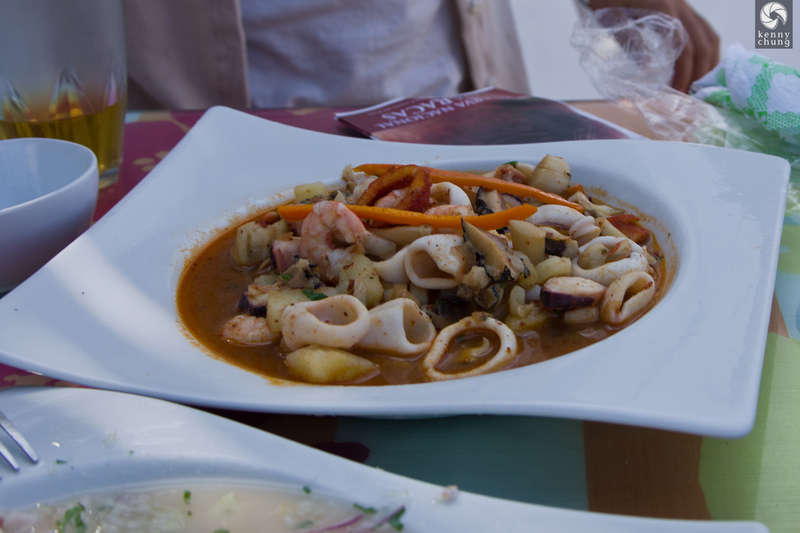 Picante de Mariscos, a traditional spicy Peruvian seafood dish. 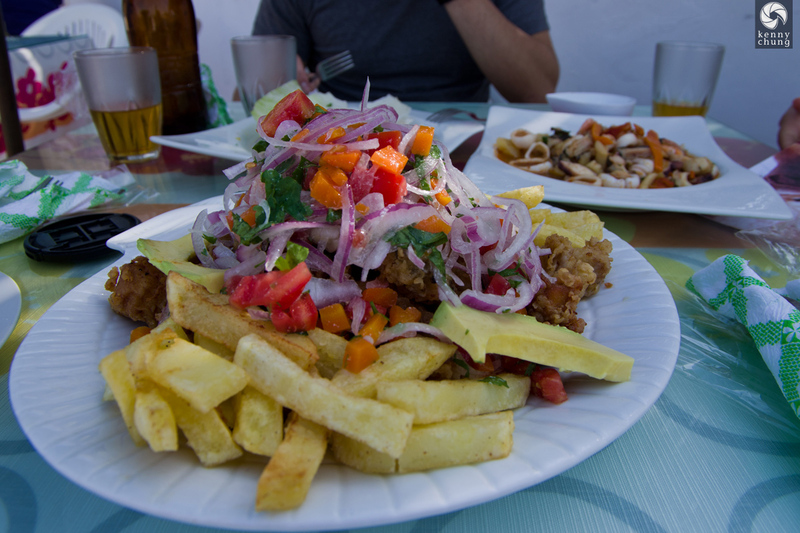 Chicharrones are typically made with pork, but we had fried fish instead. It came with a side of yucca fries and avocado slices. A wonderful meal to share family style. 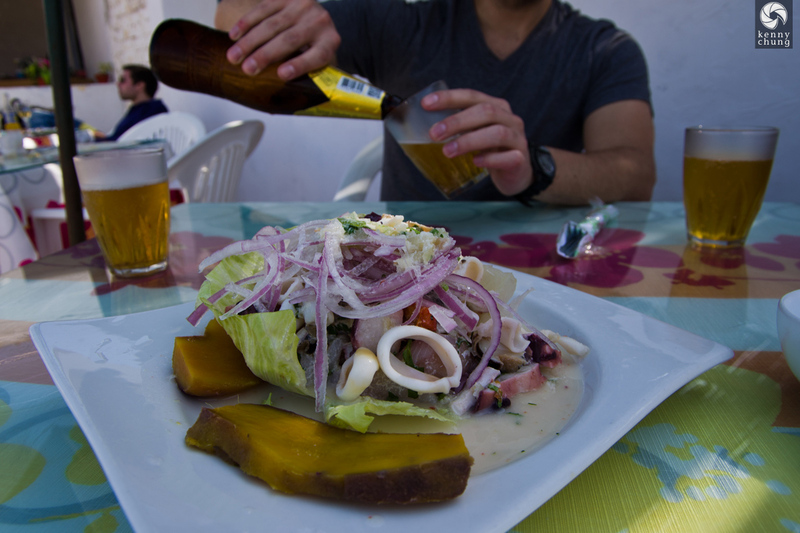 Of course, we washed it all down with some Cusque�a beers.